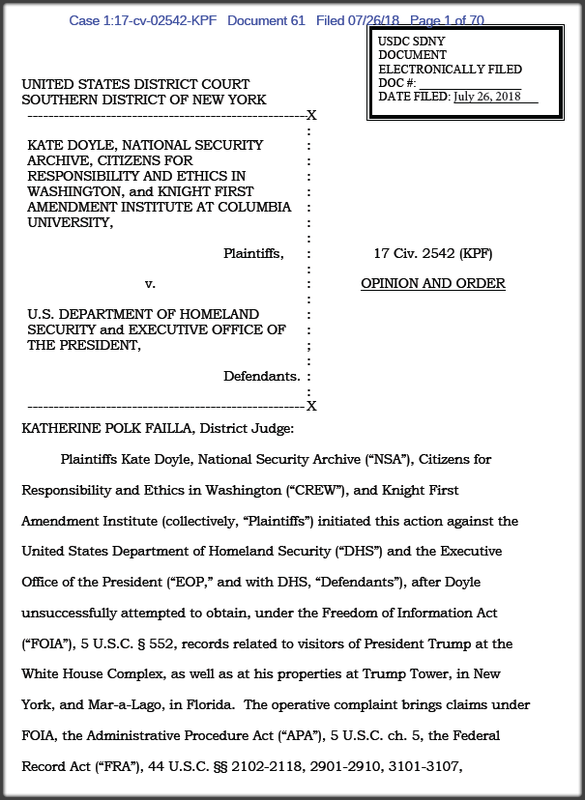 Washington, D.C., July 27, 2018 - Federal Judge Katherine Failla agreed with government lawyers and is allowing the Secret Service to hide the White House visitor logs in a FOIA lawsuit brought by the National Security Archive, together with the Knight First Amendment Institute at Columbia University and the Citizens for Responsibility and Ethics in Washington (CREW). The visitor logs - 5.99 million records worth - were routinely released by the Obama administration, with no harm to national security or personal privacy. 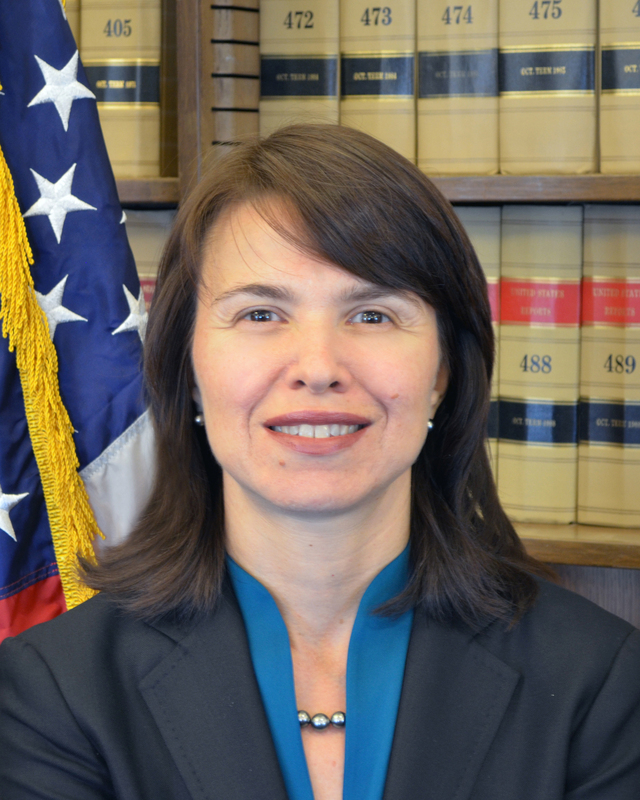 Judge Failla, of the Southern District of New York, relied on a 2013 D.C. Circuit ruling in finding that the visitor logs for core White House offices are not subject to the Freedom of Information Act, although she agreed that certain other parts of the Executive Office of the President are covered. The Secret Service has already admitted during the course of the lawsuit that it maintains no records system for tracking the president's visitors at Mar-a-Lago and other Trump properties, meaning anyone - foreign lobbyists and otherwise - can pay for access to the president without being vetted or recorded. The only record the government has released so far in response to the FOIA suit is one document, totaling two pages, concerning the visit of Japanese Prime Minister Shinzo Abe - this after telling Judge Failla and the plaintiffs that DHS would produce all the visitor logs. "Our suit gave the court a chance to address the transparency deficit in the Trump White House, but the court ducked," said Archive director Tom Blanton. "Letting the Secret Service hide their records of everyone who lobbies the President is the opposite of what the Freedom of Information Act holds as American law and American values." The Archive, Knight Institute, and CREW are considering an appeal to the 2nd Circuit.